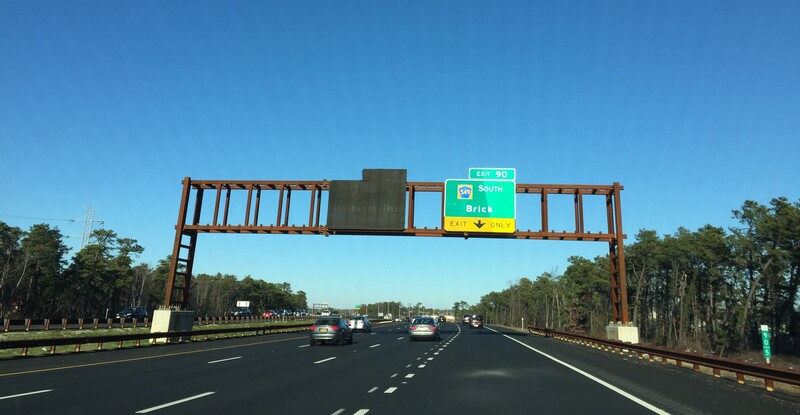 A summer-long suspension of work on the Garden State Parkway Interchange 91 construction project will take its toll on the project’s completion date, officials told Shorebeat. Work on the project, which will create a full north-south interchange in the norther portion of the township, stopped in July after Gov. Chris Christie and state legislators failed to agree on a gas tax increase to fund the depleted Transportation Trust Fund. The controversial tax hike was eventually passed and enacted in November, and projects were allowed to move forward. Mayor John Ducey said the interchange construction project, responsible for traffic tie-ups on a nearly daily basis along Lanes Mill and Burrsville roads, is now scheduled to be completed in July. Its original completion date had been February. “They were closed for four months, and it had been March, but now they’re saying July,” said Mayor John Ducey. Shorebeat also recently inquired, in the wake of news that a cashless toll system would be installed at a newly-created interchange in Sayreville, as to whether tolls at the new Brick interchange would expand beyond the current toll at the northbound entrance ramp. There are no new tolls being built at the interchange, said Thomas Feeney, spokesman for the New Jersey Turnpike Authority. A new northbound entrance ramp from Burnt Tavern Road and Lanes Mill Road, with access to the park-and-ride lot on the east side of the Parkway. A second northbound entrance ramp for vehicles traveling eastbound on Burnt Tavern Road. This ramp will allow access from Burrsville Road. The single existing northbound ramp will be eliminated. New northbound exit and entrance ramps linking the Parkway and Burrsville Road. A second southbound entrance ramp linking Lanes Mill Road with the Parkway. Herborn Avenue will be extended south and east to Lanes Mill Road, where it will meet the new entrance ramp and a signaled intersection.